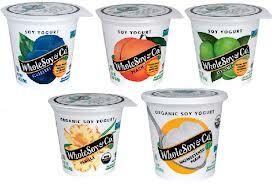 WholeSoy & Co Soy Yogurt. Yogurt is a total double edge sword for me. I truly hate the smell of dairy. Hate it. Even my whey powder is getting to me these days to be honest. I was religiously eating Greek yogurt for the past few years but then a couple of months ago I got a bad container, started to eat it and then got repulsed. Since then I have not touched the stuff. Sure it is good from an ethical, animal standpoint but from a health standpoint it is concerning to myself and other veg heads like me who track their protein intake because they want to put on more lean muscle. Not only is Greek yogurt a complete protein it also packs like 20 grams into a small container. 20 grams of protein in one shot is not as easy to get from plants, there are not many options out there for quick protein fixes. The closest thing I have come to dairy yogurt is WholeSoy & Co. soy yogurt. 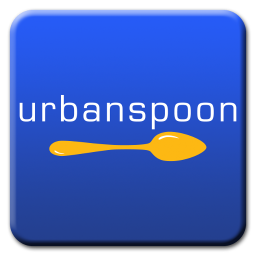 It is tasty as all heck, smooth, creamy and offers up 6 grams of soy protein. Sure that is nowhere near 20 but compare it to the 1-2 grams in most other dairy alternative yogurts and WholeSoy & Co. comes out on top. Not only does it top them in protein content it also tops them in taste, texture and consistency. You cannot tell this yogurt is made with soy, it tastes nothing like soy. And if I can’t taste it the chances you can are slim, I am the most pickiest eater ever, not a point of pride. http://www.wholesoyco.com/ WholeSoy & Co. Homepage. ← Natural Born Veg Heads.